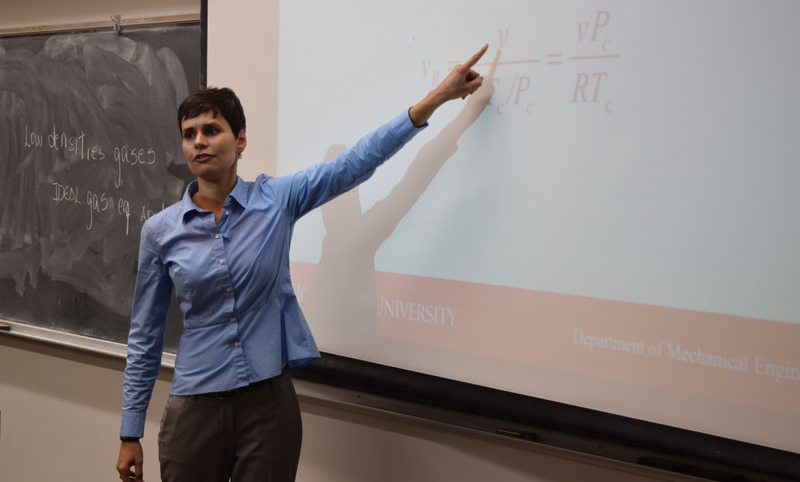 Given her background in food and agricultural engineering, recently hired mechanical engineering associate professor Carmen Gomes feels that she’s bringing something unique to the department. “I believe I can bring my expertise when it comes to chemistry, biology, and interactions with interfaces in materials to the mechanical engineering world,” she said. 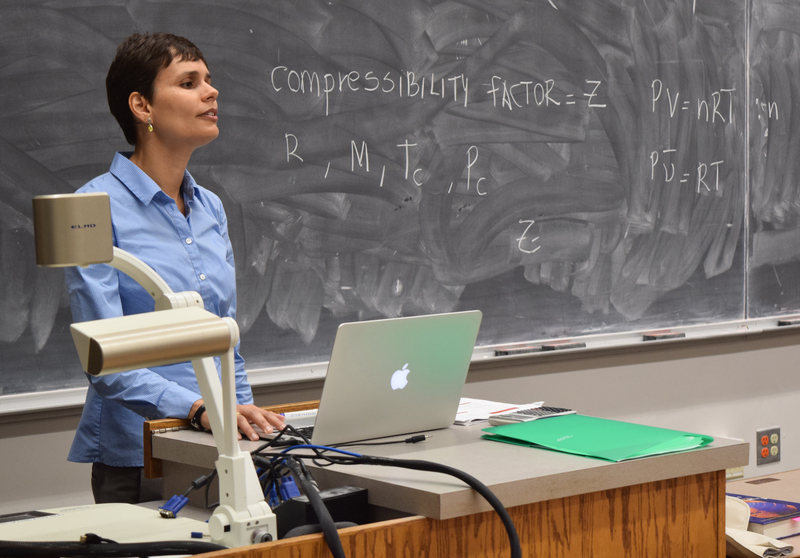 Gomes excelled at biology, chemistry, and physics classes while attending high school in her hometown of Viçosa, Brazil but said that she thought it was easier to see the practical application of engineering as opposed to physics and math, which she saw as more abstract. 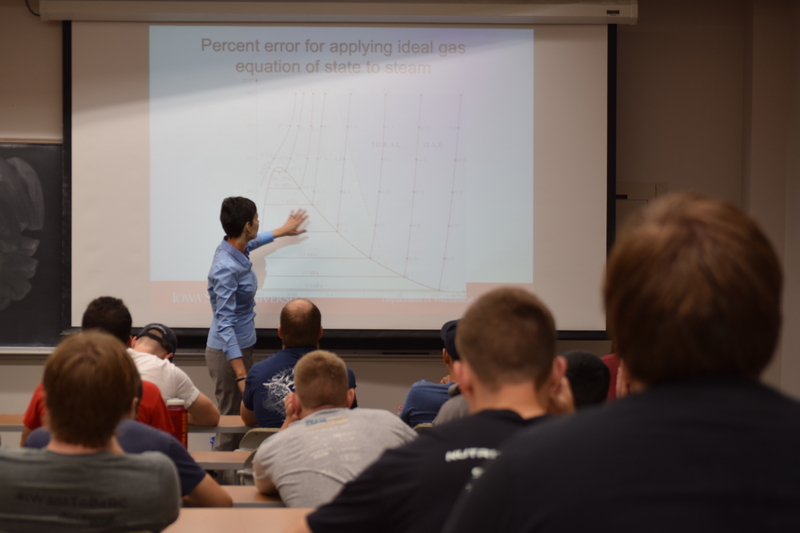 Her interest in becoming an engineering professor was also spurred by her father, a physicist with a background in forest engineering, as well as her mother, an educator. Gomes added that her enjoyment of hands-on activities also encouraged her to pursue engineering when it came time for her to select a major in college. She attended the Federal University of Viçosa in her hometown, where she graduated with a BS in Food Engineering, which was one of the top majors at the university. She then attended Texas A&M University where she graduated with a PhD in Biological and Agricultural Engineering in 2010. 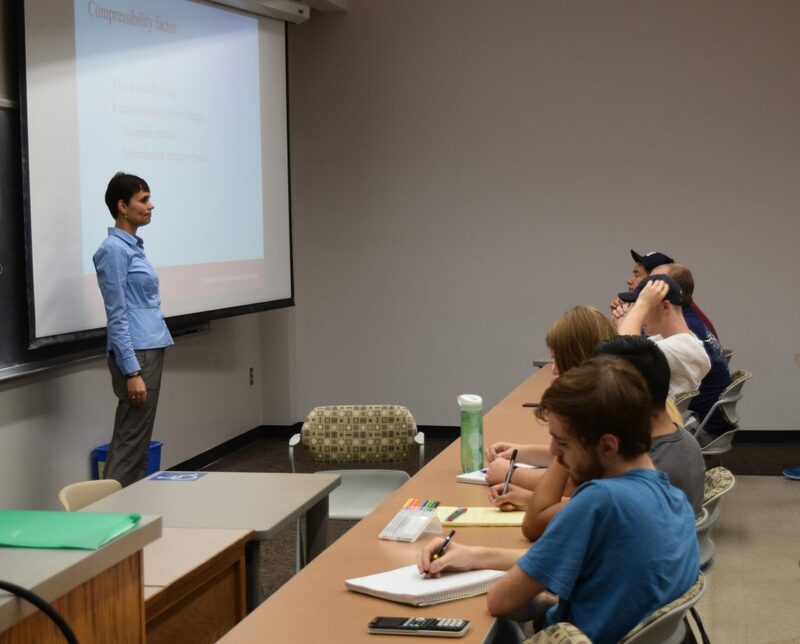 She served on the faculty at Texas A&M after graduation and joined the faculty at Iowa State in the fall of 2017. Her research falls within the department’s Nanoscale and Bioengineering & Translational Health research areas, with her particular research focused on food safety. She said that she thinks engineers can serve an invaluable role in making food safer for consumption. Part of Gomes’ research uses biosensors to detect contaminants in food. She hopes to continue to develop the portability and interfaces on her biosensors to make them more practical in the field, as opposed to just in the lab. “It’s about being able to detect the contaminant as soon as possible so we can take the necessary measures to remedy the situation,” she said. In addition to studying methods for detecting contaminants, she also studies ways to neutralize the bacteria or contaminant. She has developed delivery systems composed of natural antimicrobial compounds that can control the growth of bacteria. Her past research used these biosensors to study fresh produce such as spinach, which is a major crop in Texas, but said these sensors could also be used on food products such as poultry and pork, which are major commodities in Iowa. Additionally, the sensors could be used to measure water and soil quality. Gomes said the opportunities for collaboration were something else that attracted her to Iowa State, adding that she hopes to not only collaborate with researchers within the ME department, but also those from the Department of Agricultural and Biosystems Engineering as well as the College of Agriculture and Life Sciences. These collaborations also open her up to pools of students from ME as well as other departments who might be able to contribute to her research. “What attracted me most was being able to join a mechanical engineering department and being able to expand my research area and collaborate with other people who are doing biosensor work,” she said. Gomes said she has liked the lack of traffic and the friendliness of the people since moving to Ames. She also said she likes the variety of local restaurants in Ames and has already tried Iowa staples like sweet corn and pork chops. Gomes also enjoys cooking, citing that she likes the variety of techniques used in preparing food and also the social aspect of it as well as the “instantaneous satisfaction” that it brings. One similarity Gomes said she has noticed between Texas A&M and Iowa State is the loyalty fans show to their university’s respective sports teams. “I like how the people here really embrace the spirit of the university,” she said. Gomes is also an avid supporter of the Brazilian national soccer team, adding that growing up it was a national holiday whenever the Brazilian team would play in the World Cup. “You will probably won’t see me in the office whenever Brazil is playing,” she said, adding that even if the match is in the middle of the night she’ll wake up to watch it.